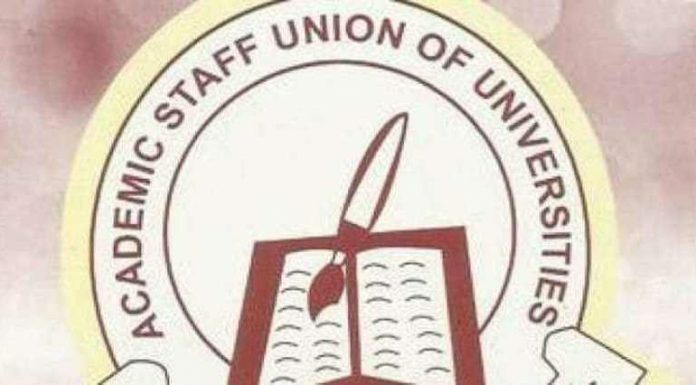 As the strike embarked upon by the Academic Staff Union of Universities (ASUU) enters its fourth week, the union has vowed not to return to class until its demands are met. This was disclosed in a statement by the ASUU National President, Biodun Ogunyemi, yesterday. The lecturers commenced an indefinite strike on November 5 for reasons including governmentâ€™s failure to adhere to previous agreements and poor funding of universities. After the meeting, Ogunyemi said the government appears insincere in relating with the lecturers. In his statement yesterday, Ogunyemi said the unionâ€™s â€œstruggle is still alive,â€ and the strike would continue. â€œWe met with the Minister of Education in line with our tradition to honour all invitations with openness to meaningful discussion of issues contained in our demand, so far, nothing concrete has come out of the meetings; rather it is still a projection of their â€˜keep-them talkingâ€™ culture. â€œOur members are enjoined to disregard any information from any source other than the official union source which is the branch chairperson,â€ he said. â€œOur commitment and integrity are the basis of our pride as Academics. We must avoid actions that undermine our struggle,â€ he said.